Even though I have been silent lately on my son's college application process, it doesn't mean he hasn't been busy. Along with the college applications, he has filled out numerous scholarship applications and written the required essays. Even though I provided him (and you) a way to keep up with all the different requirements and deadlines, he has almost missed at least one of them. I think one reason may be that when he was looking for applications early in the school year, some schools may not have had the information on their website yet! 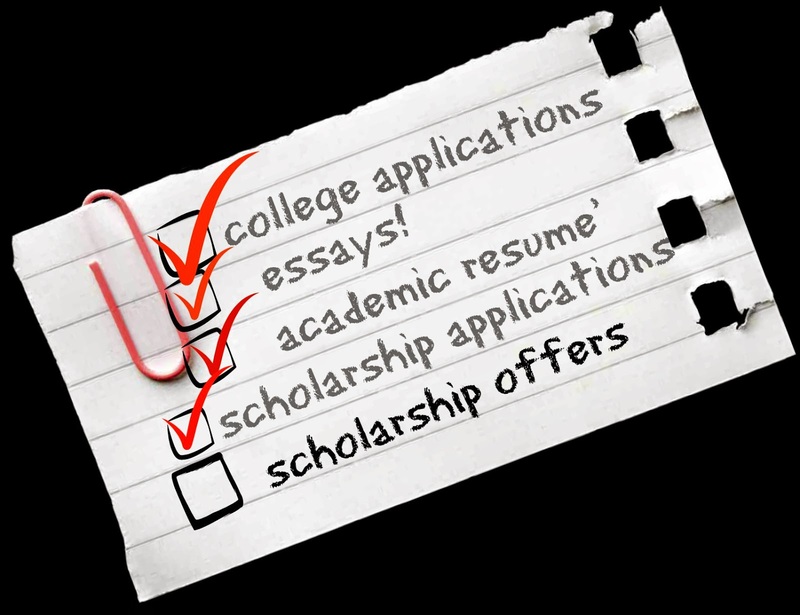 For most of the colleges, he met their early application deadline of December 15. Since he is applying as a dual engineering and music education major, he also is required to audition for the music departments. His first audition at a private school netted him acceptance into the college of music. He had applied early action (not to be confused with early decision) to this university and was also accepted to the engineering college. He was offered some nice scholarships, but is hoping for more since this is a private university. The decisions for some of the other scholarships he applied for at this school will not be made until mid-March. His second audition was at a very large public Texas university that required a preliminary video audition to make it to the second round of auditions. He passed the first round of auditions and had his live audition in January. This school has not sent out university acceptance letters of any kind, but he learned yesterday that he did get accepted to the music school (contigent on acceptance to the University) Those acceptance letters don't go out until mid-March, along with any scholarship offers. The same week-end he auditioned at the large public school, he auditioned at a private school that had not originally been on his top 5 list. While he was auditioning, I attended a parent meeting and discovered that not only does the university not offer the type of engineering that interests my son, they also don't encourage dual majors for music students. We haven't heard from this school yet, but unless they offer some amazing, too good to pass up deal, they are off the list. His last audition is this week-end at a branch school of the 'big Texas university'. It was not originally on his list either, but I found some generous scholarships that would definitely make the school very affordable, plus they offer both majors he is considering. Also, his voice teacher recommended one of the voice professors, so it is definitely a contender at this point. He has been accepted to this university, but has not received financial aid/scholarship information. Most of that goes out mid-March. What about your student? Have they finished applications? Are they just waiting, too? Wow! August is really early. Colleges hardly even have their applications for the new year posted by that time. The scholarship waiting is hard. We are doing it all again next year, too. So much waiting! I have a few years until my daughter gets there as my oldest with autism will not be doing that route. Still tough to wait!